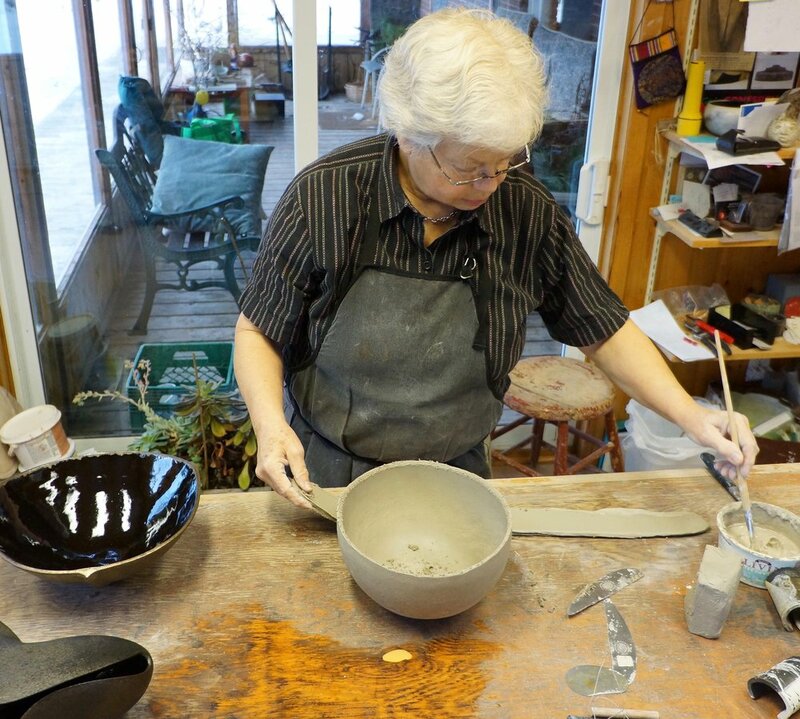 Janet is a hand-builder with a love of coiling sinuous, asymmetric, curving forms, which are fired to obtain surfaces that are inviting to the touch. 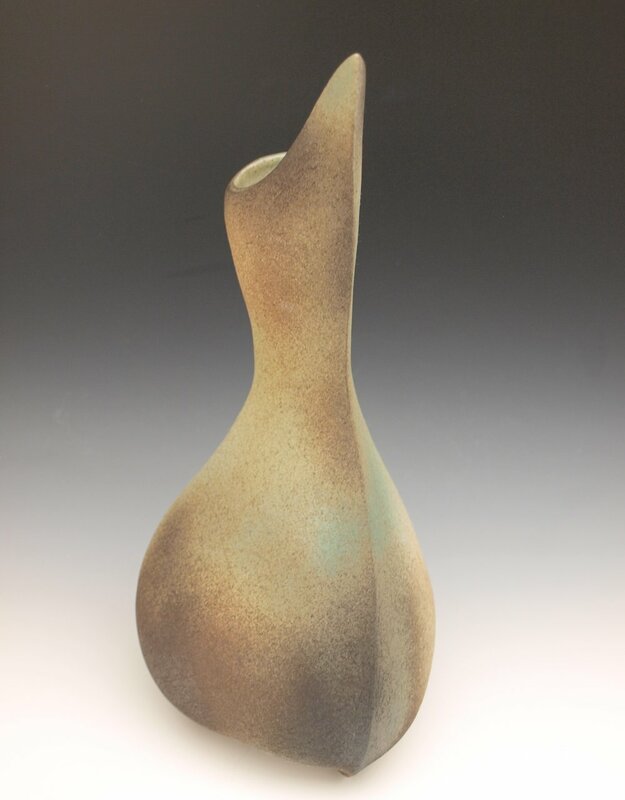 Her pots explore inter-relationships between contained negative space, line, and form. They also play with abstractions inspired by shapes of nature: waterworn rocks, birds, and plant life. Janet has also studied Ikebana for many years; this art form has deepened her understanding of form and appreciation of the sophistication of simplicity.